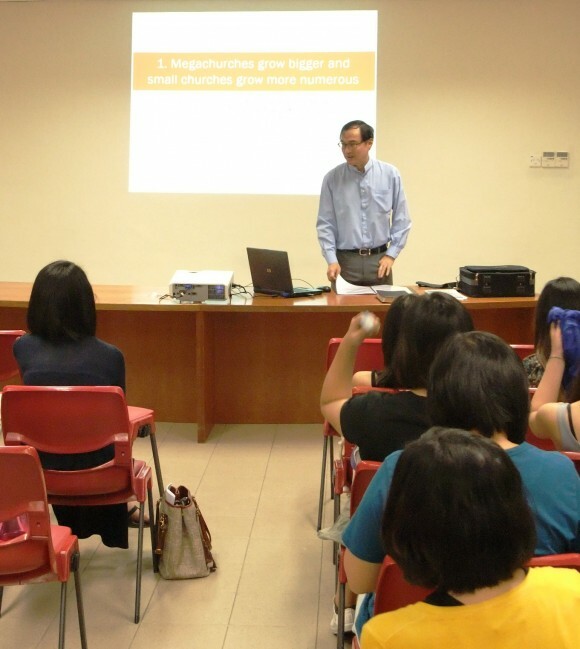 The senior pastor Eric Chua invited me to speak with his young adults at Bukit Batok Presbyterian Church, on the topic, Trends in the Singapore Church, and I politely refused as I had no hard data on the subject.”All I have are years of observing the church, collecting anecdotes among pastors, reading articles about the church online, and some study on the church. No conclusive, hard facts based on sociological studies or any such thing, is that okay?” So that was how I gave this talk of 30 minutes, with 20 minutes for questions and answers. The recent articles on the Glitz and the Gospel in the Straits Times and my background work formed the backbone of what I shared with them. 1. Megachurches are growing bigger and small churches are growing more numerous. 2. Megachurches owe their growth mostly through members of other churches switching over. 3. Consumerism is a pervasive influence on the Church’s culture. 4. There is an increasing corporatisation of the church. How about the future of house churches? Even as that is a trend in the Western world, I’m wondering whether that will be so here in Singapore in future. Stillhaventfound, the things that happen in the US have a way of re-surfacing here with time. But house churches? with the majority living in apartments………like you, I wonder if it will take off. Commercial and industrial places are the more likely the locations of these micro or organic churches. The other thing that may be preventing house churches from flourishing here too is that it takes a lot of commitment from people and people are generally busier here. An advantage of bigger churches and even mega churches is the economies of scale – not everyone needs to contribute time or effort for a big church to carry on. For a house church, it seems that most people need to contribute for it to sustain itself. If not, it slowly dies off. However, I’ve been seeing (and myself participating in) more and more small inter-church cell groups.They probably won’t see themselves as a full-fledged house church but I think they have some influence and contribute much to the Kingdom of God. 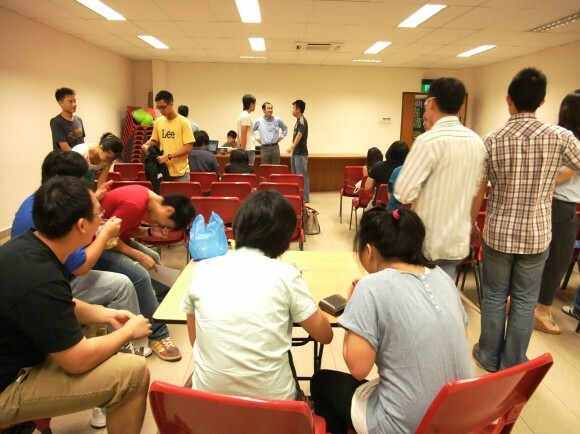 One also wonders where’s the emerging church progressive Christians in Singapore. Yes, I agree that members switching from other churches to NCC have contributed to NCC’s growth – my whole family is one example. However, the number of new conversions in NCC have increased significantly every year too. I don’t think point 2 is entirely accurate. No doubt, small churches do lose some of its members to mega churches, but I believe the growth of mega churches is due more to first-time conversions, at least that seems to be the case for NCC. You did say that mega-churches are able to reach those whom the small churches cannot reach. Please do not focus on the size of churches, or how many families you have lost to other churches (mega or not) . Focus on Jesus and his finished work. but one focus of this blog is to be a voice for small churches and small church pastors. The kind of rapid growth rates of megachurches have expereinced is not sustainable without a ready supply of pastoral staff and lay leaders to take care of the new converts. If all were home grown new converts they would have buckled under the weight of a rapidly expanding congregation. Such mature pastors and workers can only be so readily available if they had been in the Lord for some years prior to joining the megachurch, perhaps even from another megachurch. Only exception seems to be CHC which has its in-house Bible training school where many of their members have given a year or two in full time training. They then form a ready pool of pastors or lay leaders. Well, be it a mega church or small church, I moved in according to what the Spirit had moved me. I am now planted in Trinity Christian Centre and it happen that God make my place become a hosting place for the cellgroup. It is growing slowly after we had split the cell. (Becuase it is getting too big). My wife and I are happy with the church and the cell members. Each church may have its place and purpose in the kingdom of God. Though we may be tempted to speak ill of NCC, CHC, FCBC, and whatever. We must first search our heart and ask God is it out of our liking or worldiness that we speak ill of others. Or is it out of discernment that we noted something which is not right. BP – fascinated by various perspectives and commentaries. Seems most of us have need to share and have affirmation for our beliefs. This makes all commentaries and perspectives, vested. There are infinite ways to God through an infinitely large portal created by Christ which like Schrodinger cat paradox is also infinitely minute at the same time. Our perspectives create the reality, not adherence to some uber organization or following some charismatic pastor. My admiration for your honest discourse, warts and all. Thanks for sharing and may your new journey be a blessing to visitors to your blog. To Rev James Seah – for your info & action. Hope you can contact Nancy, Anthony’s wife at S’pore Casket asap. Read this some time back, but it came up again as I was on Facebook looking through Presbyterian youth posts. Just to update that I just started (in Dec) serving at ORPC as their youth and young adults pastor. Glad to know you were able to speak and bless the youths at BBPC, a church plant from ORPC years back. Congratulations Ps Timothy. I trust you will have an impact on the youth and young adults of ORPC. Will be rooting for you! I chanced upon your topics on small vs big churches and read many comments from your readers (some defensive some offensive when touched on sensitive matters). Well, I feel that there are no, who is right or wrong. It is not about the size of the church. Because We are His Church! I believed that in the 80s when those mega Churches were 1st founded, the Pastors then, also did not expect themselves to be shepherding mega Churches (fast forward) now. It just happened (through His grace). I have 2 relatives who are Pastors and a friend that I have known for 2 decades educated at Spore Bible college and is a Pastor too. From their conversations, I can feel it that deep in their hearts the 3 of them all wished for church growth in their respective churches. My friend being the “ambitious” and is younger, views his success to the number. But the 2 older relatives are more ” complacent”, too comfortable at where they are, and how their churches are and will be uncomfortable with any changes or new characters appearing to handle. Well, both are human natural. No right or wrong too. But just curious, if one day God willing and miraculously increased your church in hundredfolds, is this not a “good” problem? If God can increased, He also able to provide (building or staff members). There is no right or wrong, only advantages and disadvantages. It is not so much a moral issue. God is comfortable with both and having both kinds creates more variety in the Body for the unsaved and saved to find a home church they may be root themselves in for a season. When we are young we are more “ambitious” and when you are older you are more “complacent”may also be “driven by deficit” instead of “ambitious” and “rested in God’s love” instead of “complacent”. Fun chatting with you. The post was so old I only remember vaguely writing it. Thanks. Also I have a friend who is a Paramedic and works shifts during the weekends. She does not attend church services (due to her job shifts) but is a firm believer who recognised her job as her ministry. For such cases, you cannot judge the person. A person who goes to Church does not mean that he/she is a Christian. Much like a person who goes to MacDonald, means that he/she is a hamburger. Being a Christian is a Relationship with Jesus. For my friend’s case, she catches up on uploaded sermon onlines, and engaged in Skype discussions with fellow Christian groups (in other time zones) during her off days on weekdays. She is assured of her salvation and has wiser wisdom then probably a person who never skips a Sunday service religiously. Agreed. Judge not lest you be judged, is the Lord’s injunction to us. People in shift work like nurses, factory workers, bank employees, security forces, should not be judged for irregular attendance in church. They have to combine irregular attendances in church services with having authentic sharing with a group of Christians whether in cell groups or outside church circles.Thanks for your comment.